There’s always a mixture of excitement and overhanging dread when you begin making preparations for the new custom built aviary you have been dreaming about. And if like me you have built an aviary from scratch, then I’m sure you would have been guilty of it at some point or other! Yes, I’m talking about fooling around in the back garden with the tape measure, wondering where to squeeze in that extra two feet to build the perfect aviary. But there’s a snag… Either the all-important garden shed, or the beautiful wisteria winding its way up the pagoda has got to go! (Wife permitting…or husband for some of you). It doesn’t matter how many time you measure it, you are still always that two-foot short. What you are able to envision with ease in your mind’s eye doesn’t always stack up on the design sheet when you realise the limitations of your garden. But what if that two foot didn’t have to be a problem anymore? 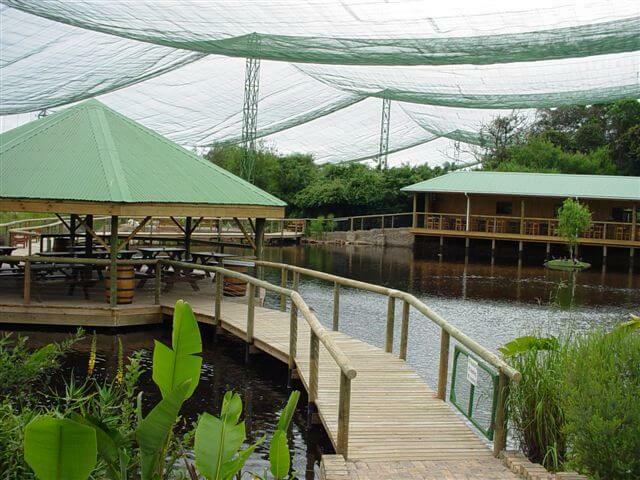 What if you were told you could build an aviary as long, as wide and as high as you liked? How big would you go? And is bigger always better? 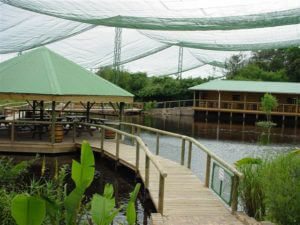 For the World’s largest aviary, “Birds of Eden, in Plettenberg bay South Africa”, bigger certainly means better. 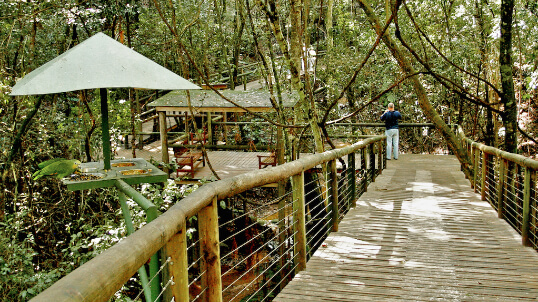 With over two hectares of aviary, that is the equivalent of x3 football pitches, the domed aviary spans over a gorge of indigenous forest. Although forest makes up about 70% of the aviary, the sanctuary also has its own mysterious ruin, which incorporates a walk-behind waterfall. If that’s not enough to wet the appetite, another feature is its amphitheatre, which has the ability to seat over 200 visitors. But what does such a vast and spacious aviary house? 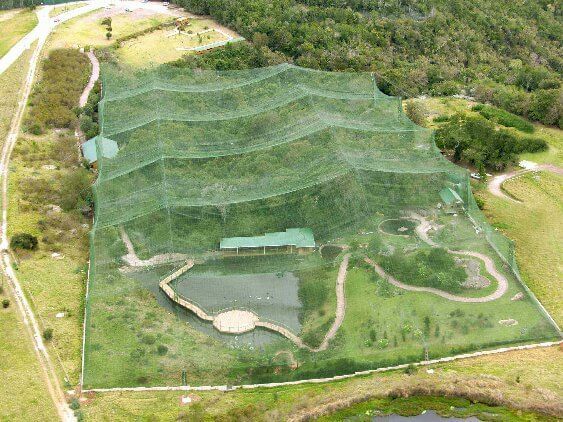 Personally, if I had an aviary of this magnitude then I would be filling it with my own flock of Gouldian finches and a mixed variety of several Waxbill species (one day). 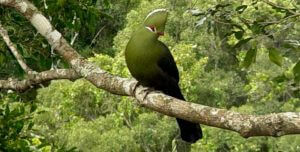 The “Bird of Eden” however is home to quite a range of species which includes around 220 different species. The list includes Parrots, (Blue and Gold Macaws, the Green Wing Macaw) Flamingos, Cranes, Ringnecks, Pheasants, Turacos, Billed Toucans, Black necked and Green Aracaris (toucanettes), Inca Jays, Parakeets, (budgies, lovebirds and cockatiels) Lorikeets, and not to mention moorhens and many species of duck. The sanctuary is home to a total of 3500 birds. I’m not sure I would like to pick up the food bill for that many medium to large sized birds so for the time being I am content with the much smaller aviaries in my more humble garden. 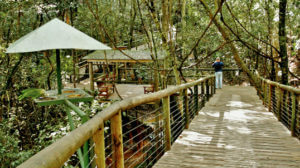 Many of the birds that have made their home at “Birds of Eden” are ex pets and some have even been rescued from being kept in poor conditions. But before any new birds are released into the sanctuary, they have to undergo rehabilitation to improve their flying ability. If they were released straight into the sanctuary without being rehabilitated this could affect their survival chances as it would be the equivalent of trying to run a marathon with your only training having been running to the bus stop. Amazing! I wonder though what happens with all the chicks, because surely in those paradisic conditions the population in there would increase rapidly… and no predator gets in and “solves” that problem… I wish they had similar projects all over the world…. No bird should live in a small cage!